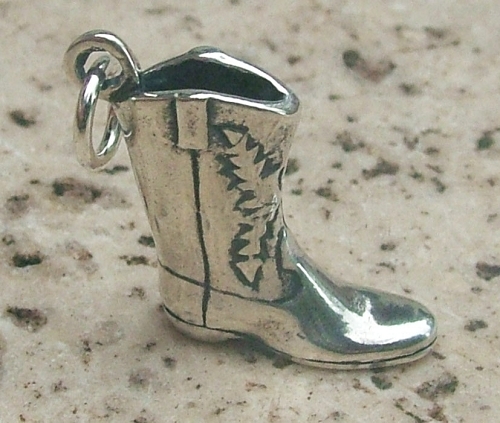 This sterling silver cowboy boot charm is what you need to show your cowgirl pride! The surface is oxidized to highlight detail and finished with a mirror polish. Overall size is 5/8" long by 1/4" wide by 3/4" tall. It is suitable for a charm bracelet or a necklace. Copyright Pink Tractor Marketplace. All Rights Reserved. eCommerce Software by 3dcart.